By buying this product you can collect up to 248 bonuspoints. Växel höger Wl15, längd 230 mm, radie 873,5 mm. Left switch Wl15, built as Art. No. 42538, but with pre-installed polarization, with bedding. 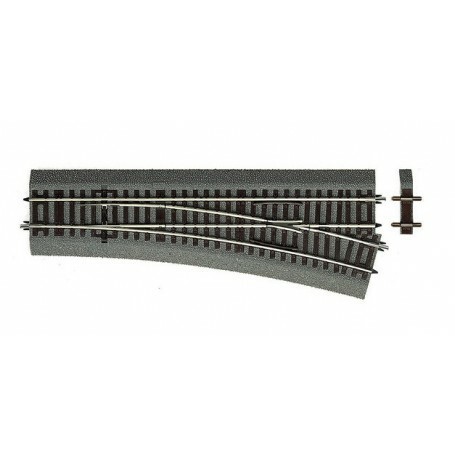 For the installation of diagonals, an 8mm distancer (D8) is enclosed. Matching electric drive: 42620 or 42624.